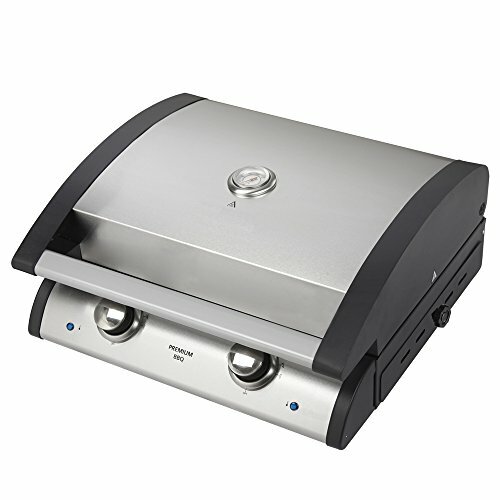 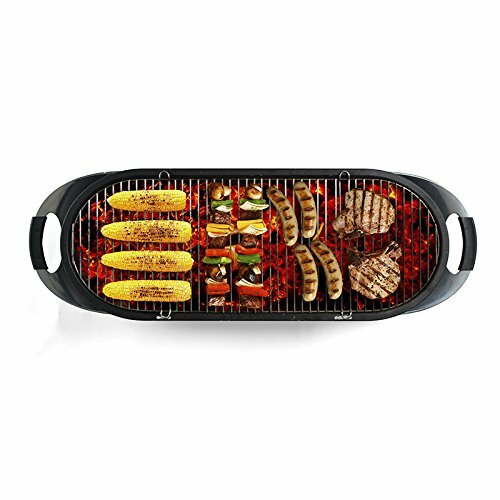 Tabletop grill for the truly social BBQ experience. 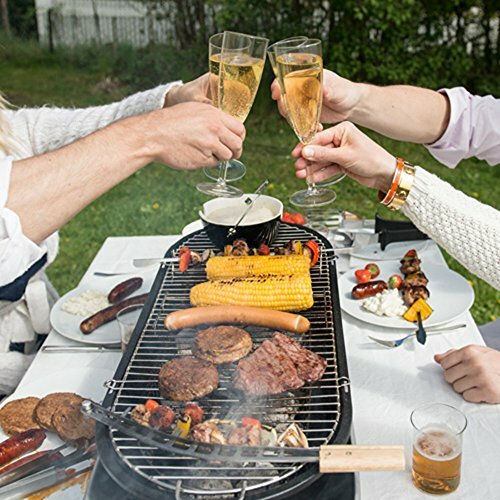 Instead of one grillmaster responsible for preparing the food for everybody, the Social Grill offers a truly social BBQ experience. 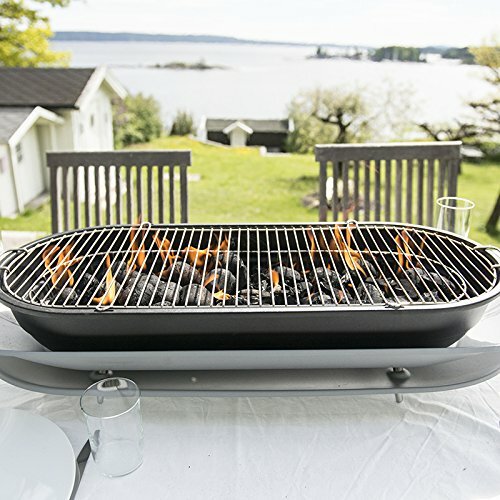 The elegant tabletop coal grill can be placed straight on an outdoor table, even on a white cloth. 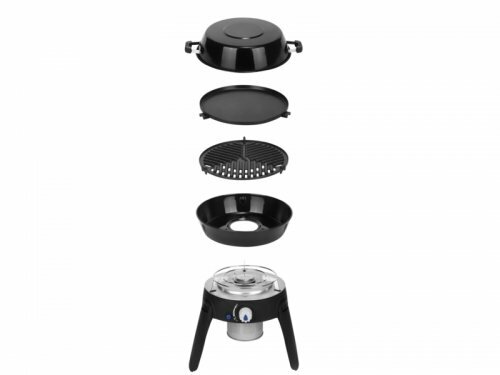 There is enough room for 6 people to use the Social Grill at the same time, making sure that no one is left out, and enabling everybody to prepare the food the way they prefer. 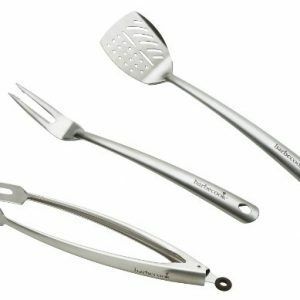 Accessories specially developed for the Social Grill include V-shaped skewers with holders, balanced and flexible tongs, and soup bowls. 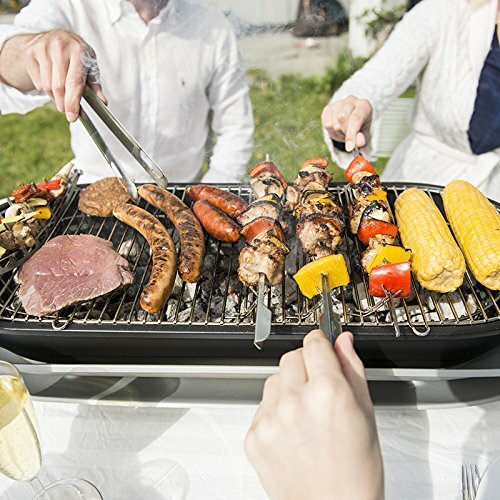 The Social Grill promises an exciting, new, and social BBQ experience. 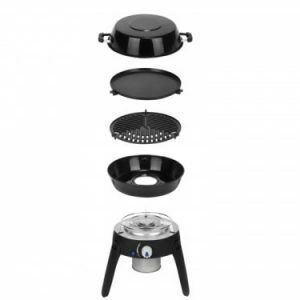 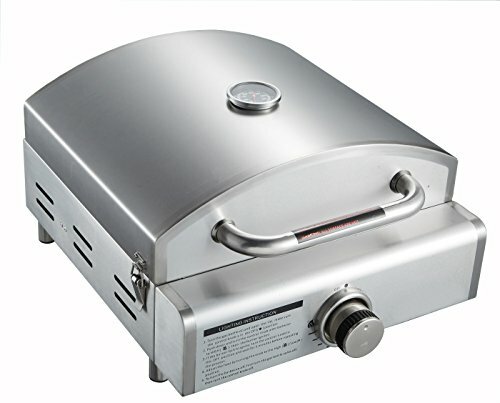 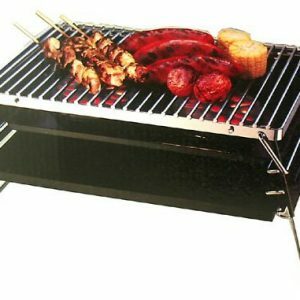 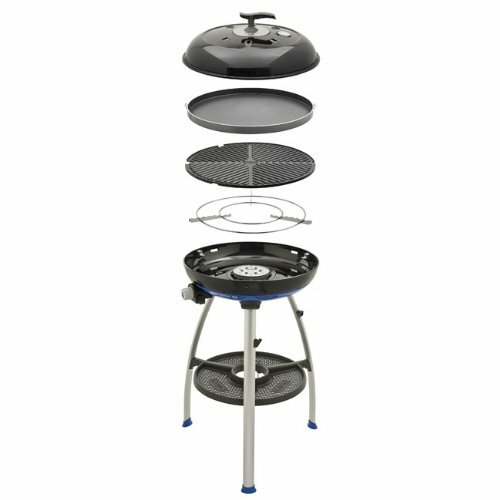 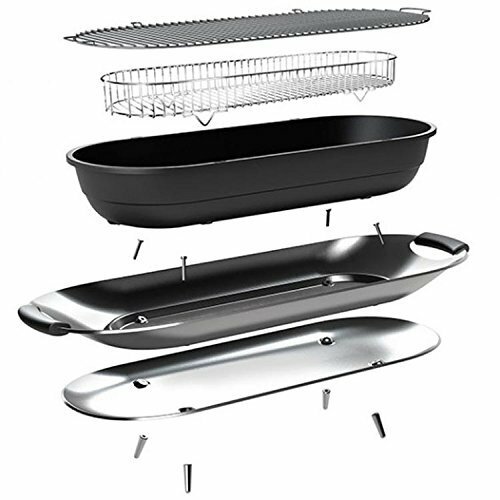 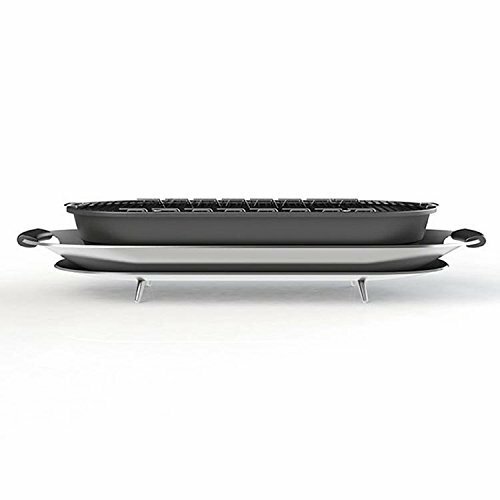 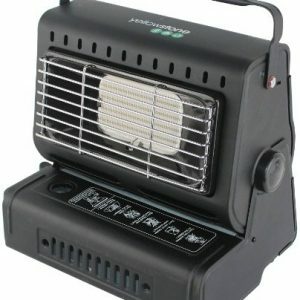 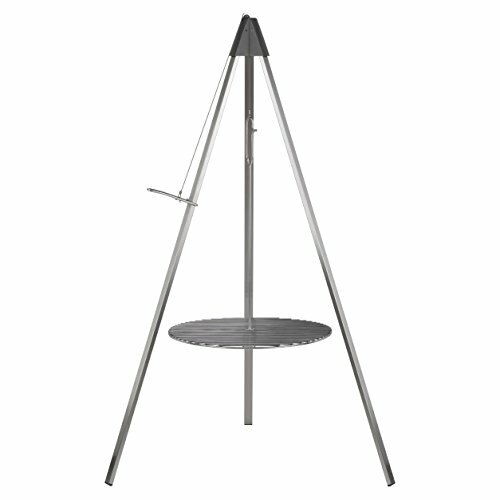 The Social Grill is 91 x 21x 30 cm in size and weighs about 7 kg. 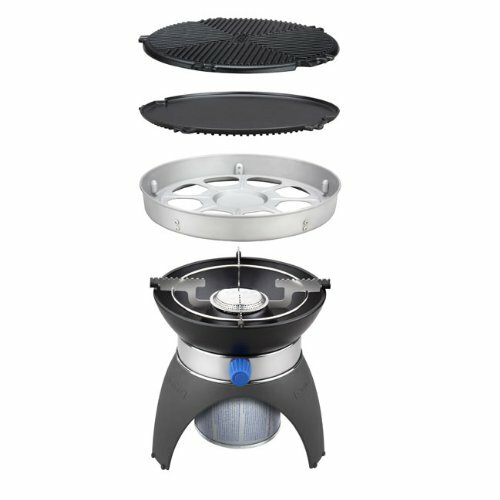 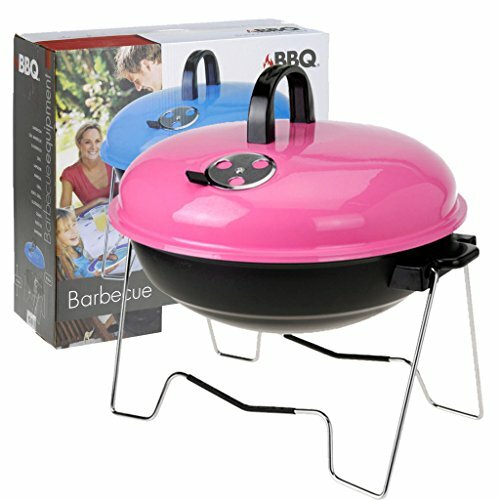 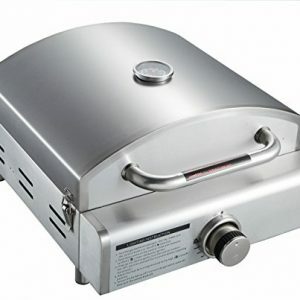 The Social Grill is made of carbon steel with a high heat resistant powder coating. 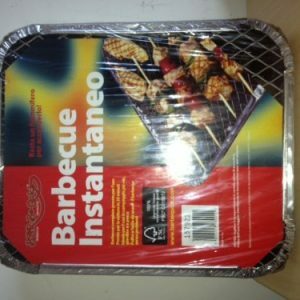 WARNING: Not for use on plastic tables.